Dr. Zilin Chen now works as Luojia Chair Professor, vice dean of School of Pharmaceutical Sciences and director of Institute for Pharmaceutical Analysis and Drug Screening in Wuhan University. 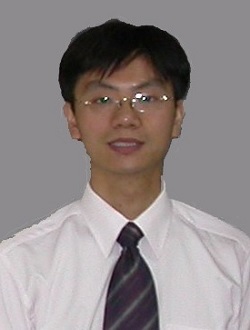 Prof. Chen received his Ph.D. degree in applied chemistry in 2000 from Tokyo Metropolitan University (TMU), Japan. He then worked as a postdoctoral fellow of Japan Society for the Promotion of Science (JSPS) at TMU, a postdoctoral fellow at NTT Microsystem Integration Labs, Japan and a research assistant professor at University of Notre Dame, USA. He joined in Wuhan University as Luojia Chair Professor in 2007. He has over 120 peer-reviewed research papers published in international journals. His research interests include the micro-column chromatography, capillary electrophoresis and mass spectrometry for biological and pharmaceutical analysis. He initiated and organized first international symposium on Advances in Pharmaceutical Analysis (APA) in 2017 at Wuhan. Prof. Dr. Ulrike Holzgrabe received her diploma degree in Chemistry at the University of Marburg in 1979, her approbation in Pharmacy in 1982, and her PhD in Pharmaceutical Chemistry in 1983 both at the University of Kiel. After habilitation in Pharmaceutical Chemistry Kiel in 1989 she became an associate professor at the University of Bonn (1990-1999). In 1988 she was a post-doc fellow at the University of Bath, UK, with Alan Casy, in 1994 a visiting professor at the University of Erlangen with J. Gasteiger, and 1995 at the University of Illinois at Chicago with A.F. Hopfinger. Since 1999 she holds a full professorship at the University of Würzburg (declining offers from the universities of Tübingen, Münster and Berlin, and the CEO position of the BfArM). She served as vice-rector of the University of Bonn from 1997-1999, as a president of the German Pharmaceutical Society from 2004 till 2007. 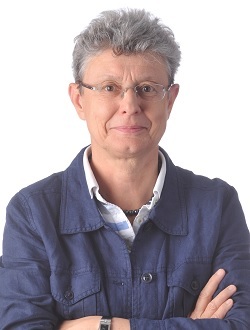 She is a member of the German and European Committee of the Pharmacopoeia (BfArM, EDQM), and a member of the scientific boards of the BfArM, BPS of FIP, and the HIPS as well as a collegiate of the DFG. 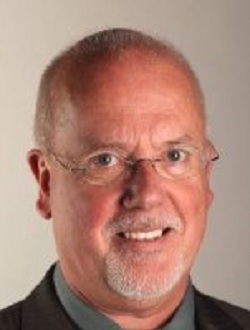 Larry Miller is a Principal Scientist in the Discovery Attributes Sciences group at Amgen in Cambridge, MA. He has over 30 years of experience performing small molecule achiral and chiral purifications at the mg to multi-kg scale. During his career he spent 20 years at Searle/Pharmacia and has spent the last 13 years at Amgen At Amgen he manages a center of excellence at two R&D sites that is responsible for all small molecule purification support for Amgen’s discovery and development departments. His early purification experiences used HPLC, but over the past fifteen years he has moved heavily into SFC and serves as a strong ambassador for the expansion of SFC into new industries and areas of separation science. Larry has more than 30 peer reviewed publications and over 35 presentations at scientific meetings and also serves as co-instructor for SFC short courses in the US, Europe and Asia. From 2011 to 2016 he served as president of the Green Chemistry Group; currently he is co-chair of the scientific committee as well as a board member of the Green Chemistry Group. Osamu Niwa received his B. Eng. degree in 1981 and PhD in 1990 from Kyushu University. He joined NTT Laboratories in 1983 and worked in research and development on electrochemical and optical biosensors. In 2004, he worked as a deputy director and group leader in Biomedical Research Institute, National Institute of Advanced Industrial Science and Technology, Japan. From October 2015, he is a professor of Advanced Science Research Laboratory and also Dean of The Graduate School of Engineering, Saitama Institute of Technology. His current research interests are electrochemistry of nanocarbons, metal nanoparticles embedded carbon electrodes and their application for clinical, pharmaceutical and environmental fields. From 2015 to 2017, he was a vice-president of Japan Society for Analytical Chemistry and now president of Japan Society of Chemical Sensors and will be an associate editor for Sensors and Actuators B. He published about 230 peer reviewed papers and contributed to about 10 book chapters. 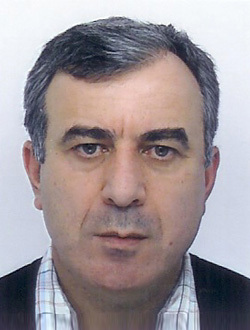 Bezhan Chankvetadze is Full Professor for Physical Chemistry and director of the Institute of Physical and Analytical Chemistry at the Tbilisi State University in Tbilisi, Georgia. Between 1991-2005 B. Chankvetadze held research and teaching positions at the Institute of Pharmaceutical and Medicinal Chemistry, University of Muenster, Germany and at the Department of Applied Chemistry, Graduate School of Engineering, Nagoya University, Japan. B. Chankvetadze is the Editor of the Journal of Pharmaceutical and Biomedical Analysis (Elsevier, Amsterdam, Netherlands) and Full Member of the Georgian National Academy of Sciences. 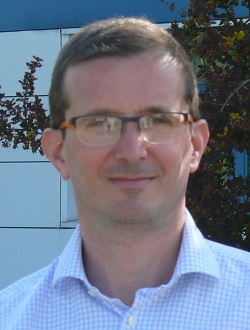 B. Chankvetadze has published over 200 research papers in peer reviewed journals and given over 250 presentations on international conferences in fields of chirality, electromigration techniques and separation science. 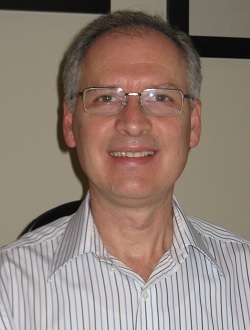 Tivadar Farkas has over 20 years of experience in chromatography. He received his Ph.D. degree from the University of Tennessee at Knoxville in Analytical Chemistry in 1997 under the guidance of Georges Guiochon. The topic of his thesis was the investigation of HPLC column heterogeneity with electrochemical and with laser induced fluorescence detection. Tivadar Farkas started his career in fragrance and food analysis by GC. He joined Phenomenex in 1997 as a Senior Scientist and worked first on column packing technology. For several years he managed the Analytical Support and Development group within R&D, focusing on the development of novel stationary phases, column formats, and applications for both analytical and prep HPLC, including chiral LC. Currently he acts as the Senior Managing Scientist of the R&D department at Phenomenex overseeing all major research projects. Tivadar Farkas is a constant contributor to the major chromatography scientific meetings and to the Journal of Chromatography. Dr Davy Guillarme obtained PhD degree in analytical chemistry from the University of Lyon, France in 2004. He is working at the University of Geneva in Switzerland for more than 13 years as a senior lecturer. 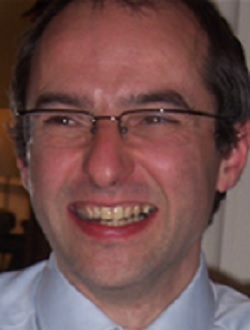 Davy Guillarme authored more than 210 journal articles related to pharmaceutical analysis. His expertise includes HPLC, UHPLC, HILIC, LC-MS, SFC, SFC-MS and analysis of proteins and mAbs. He is an editor of Journal of chromatography B since 2018, and an editorial advisory board member of several journals including Analytical Chemistry, Journal of Chromatography A, Journal of Separation Science, LC-GC North America and others... He is the recipient of the LC-GC emerging leader award in chromatography in 2013 and won the Silver Jubilee medal in 2018. 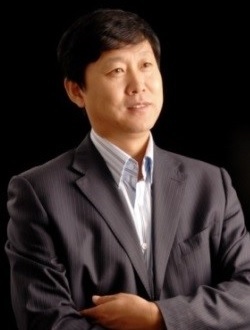 Dr. Zhengjin Jiang received his PhD degree in the Institute of Elemento-Organic Chemistry, Nankai University in 2001. After graduation, he worked for one year in Unimicro (Tianjin) Technologies, Inc, followed as postdoctoral researcher or research fellow in The University of Tuebingen in Germany, King‘s College London, Pfizer (Sandwich) Research Centre, Novartis Horsham Research Centre, respectively. In 2011, he returned to China and became a full professor of pharmacy at Jinan University, China. His research has been focused on separation science and their applications in pharmaceutical analysis. So far, he has published over 90 scientific publications in international peer-reviewed journals and given more than 20 oral presentations at international conferences. He is also the holder of 5 patens. He also served as co-chair (with Prof. Su Zeng, Zhejiang University) of the 27th International Symposium on Pharmaceutical and Biomedical Analysis in 2016. 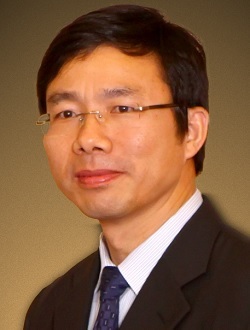 Dr. Shao-ping Li is a Professor on Quality Control of Chinese Medicine and Deputy Director at the State Key Laboratory of Quality Research in Chinese Medicine, University of Macau. 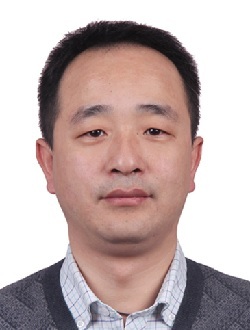 Prof. Li is an Editor of Journal of Pharmaceutical and Bioanalytical Analysis, an Associate Editor of Journal of Separation Science, and Chinese Medicine. 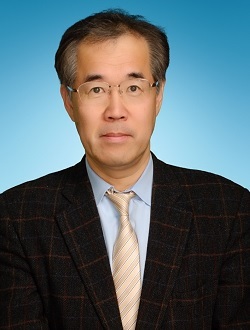 He is also Editorial Board member of Journal of Function Foods, Journal of Food and Drug Analysis, American Journal of Chinese Medicine, International Journal of Analytical Chemistry, Journal of Pharmaceutical Analysis, etc. Professor Li is an advisor of American Herbal Pharmacopoeia and a member of Chinese Pharmacopoeia Commission. He is also the author of over 300 peer refereed journal papers and book chapters, and holder of ten items of China patent and 1 US patent. Debby Mangelings graduated as pharmacist and is appointed as associate professor at the department of Analytical Chemistry, Applied Chemometrics and Molecular Modelling of the Vrije Universiteit Brussel. 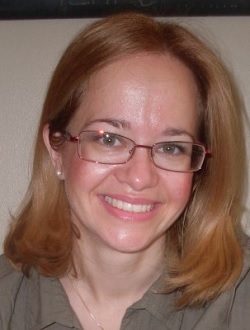 Her main research interest are chiral separations, in which she focuses on the definition of generic chiral method development strategies using liquid chromatography, supercritical fluid chromatography, among other techniques. Furthermore, she is also involved in projects on miniaturized separation techniques, drug impurity profiling, metabolomics and skin permeability determinations. David Speybrouck is a senior scientist. He studied analytical chemistry at the university in Rouen in France. he joined Johnson & Johnson in 1996. He was in charge of the purification laboratory until 2012 and he has been responsible for analytical chemistry department. Prof. Tessier received his Ph.D in analytical chemistry from the Institut National Agronomique de Paris in 1997. His doctoral research was in the area of the Maillard reaction, vitamin C and aging. Following his Ph.D., Prof. Tessier accepted a postdoctoral position with Prof. Monnier at Case Western Reserve University, and a few years later a position as scientist at the California Institute of Technology. In both American institutes, his research focused on the chemical discovery of new advanced glycation end-products in the human lens & cornea. 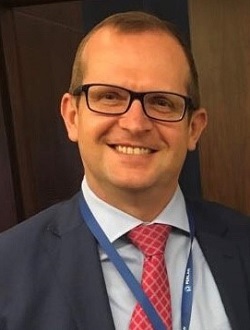 After holding 2 other positions in the pharmaceutical industry, Prof. Tessier took up an academic position in 2003 as an Associate Professor in Analytical Chemistry and Nutrition, at the Institut UniLaSalle (France). Since October 1st 2015 Prof. Tessier has been appointed Professor at the Lille University School of Medicine. The first goal of his present research there is to understand how dietary AGEs affect the nutritional quality and the chemical safety of heat-treated food. 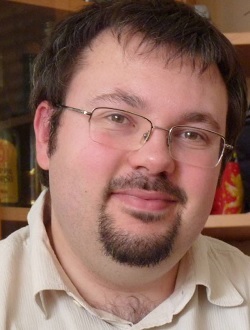 Dr Touboul David (38 years-old) is Assistant Researcher (CRCN) at CNRS since 2008. Former student of the Ecole Normale Superieur of Cachan, he obtained his Ph.D. in Chemistry at the Paris-Sud University (France) in 2006 under the supervision of Dr Olivier Laprévote. He developed new methodologies for biological mass spectrometry imaging including MALDI-TOF and TOF-SIMS approaches. 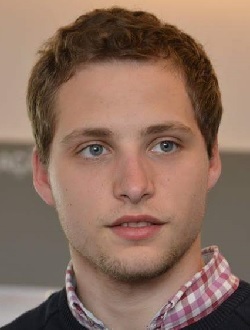 Then he moved at ETH Zurich (Switzerland) in the group of Prof. Renato Zenobi to study non-covalent complexes and gas-phase chemistry with the financial support of Novartis (Boston, USA). Back to ICSN since 2008, he first implemented new methodologies for the structural characterization of lipids, including membrane lipids or polyketides such as acetogenins in collaboration with Prof. Pierre Champy. He then moved to the structural characterization of complex natural extracts by the means of supercritical fluid extraction and chromatography (SFE and SFC) coupled to tandem mass spectrometry (MS/MS). He finally developed new software for natural substances annotation in collaboration with the group of Marc Litaudon at ICSN. 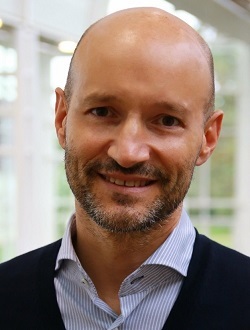 In 2019, he will be the Head of the Mass Spectrometry Group at ICSN. He authored more than 110 peer reviewed publications and received special prizes (best thesis award from the French MS association in 2007, Journal of Mass Spectrometry prize in 2006, Bronze medal CNRS in 2014 and RCM Beynon prize in 2017). 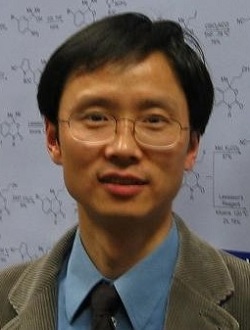 Prof. Haibing Zhou received his Ph.D. degree of Organic Chemistry from Sichuan University in 2000 in China. He then worked at The University of Hong Kong with Professor Chi-Ming Che as a research associate for one year. After pursuing postdoctoral works with Professor Howard Alper at University of Ottawa and Professor John A. Katzenellenbogen at University of Illinois at Urbana-Champaign, he moved to Wuhan University School of Pharmaceutical Sciences as a Professor in 2007. His research interests mainly focus on the development of novel small molecules for improving therapeutics that target the estrogen receptor. He has published over 70 papers, has 10 Chinese patents, and has co-edited several books. 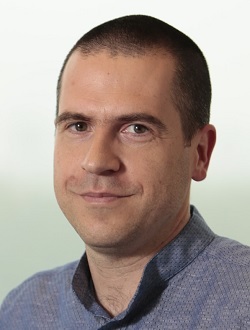 Arnaud Delobel joined Quality Assistance in 2006 after a PhD in mass spectrometry in Gif-sur-Yvette (France), supervised by Pr Olivier Laprévote, and a post-doc in proteomics in Liège (Belgium), in the lab of Pr Edwin de Pauw. 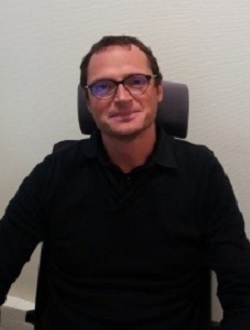 Today, Arnaud Delobel is the R&D Director at Quality Assistance. As the head of the R&D Department, he is responsible for supervising internal R&D projects, aiming at implementing new analytical technologies that will ultimately be provided by Quality Assistance to their customers. He is also supervising the work of Scientific Managers who identify market needs with input from the Management, Regulatory Affairs Manager and external experts, and from any relevant data gathered by Quality Assistance, and that are responsible for interpreting and translating this intelligence into developing new R&D services. 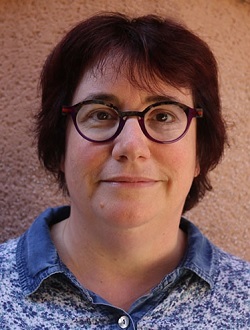 Véronique GILARD is a full professor in analytical chemistry at the University of Toulouse (France). She obtained her MS degree in physical chemistry and her PhD in biomolecular sciences in 1993. Her previous research interests were in the field of degradation and metabolism of fluorinated or phosphorated anticancer drugs followed by 31P and 19F NMR and in the analysis of brain metabolites by proton NMR. Her main topics of research are currently oriented towards NMR applied to quality control of health products (counterfeited drugs, dietary supplements) and to the analysis of illicit drugs. Her main expertise is in analytical applications of NMR (quantitative, DOSY) and structure elucidation using NMR and mass spectrometry. Furthermore, she is also involved in NMR-based metabolomics projects for biomarkers research. Dr. Jingkai Gu is a Professor in Pharmaceutical Analysis and Drug Metabolism at Jilin University, China. He received his Ph. D degree at Shenyang Pharmaceutical University in 1997. Dr. Gu is serving an expert for drug evaluation of SDA and final expert of National Natural Science Foundation of China (NSFC). Now, He is leading three programs, including a Key Program and a General Program of NSFC, and a National Major Scientific and Technological Special Project for “Significant New Drugs Development”. During his career, he has contributed to the publication of 90 papers in international peer-reviewed journals and is the holder of 5 patents. 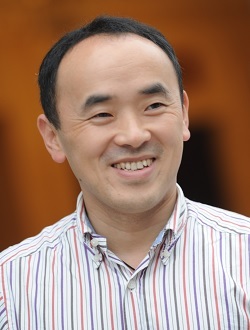 Dr.Qionglin Liang got his Sc.B (2000) and Ph.D (2005) at Department of Chemistry, Tsinghua University, and then served here as assistant professor (2005), associate professor (2010), Principal Investigator (2012) and now the Chairman (since 2015) of Department of Chemistry, Tsinghua University. He focused his research interests on bio-inspired microfluidics, mass spectrometry and hyphenate techniques, published over 140 peer-reviewed papers with over 3000 citations (H index=30), and shared trice of National Prize (2nd rank) for Science and Technology Advancement. He has been elected as the Chair of the Committee of Young Scientists of Beijing Physical & Chemistry Testing Technology Society, the Vice Chair of the Committee of Young Scientists of China Association of Instrumental Analysis (CAIA), and Member of Young Scientists Committee of Chinese Chemical Society (CCS). Prof. Michal J. Markuszewski studied pharmacy at the Medical University of Gdansk, Poland. In 2000, he earned his PhD in pharmaceutical sciences under prof. Roman Kaliszan supervision and next for two years joined, as a post-doc, group of prof. Shigeru Terabe at Himeji Institute of Technology (currently Hyogo University). Currently he is a Head of the Department of Biopharmaceutics and Pharmacodynamics, Medical University of Gdansk. His scientific interest comprises the metabolomics, cancer biomarkers, pharmacokinetics, application of separation techniques for pharmaceutical analysis (LC-MS, CE-MS) and bioinformatics. Author of ca. 110 published peer-reviewed publications. He was invited lecturer during international symposia and conferences (more than 20). He has coordinated/participated in several research projects founded by Polish and international institutions over the past 10 years in the areas of metabolomics, pharmaceutical analysis and analytical chemistry. João is a pharmacist graduated in the Faculty of Pharmacy of the University of Porto, in Portugal. During this time, he had working experience in community and hospital pharmacy in Portugal and in the UK. He has also worked in the Laboratory of Organic and Medicinal Chemistry of the Faculty of Pharmacy of the University of Porto while completing his graduation as a pharmacist. There he worked on medicinal chemistry, spectroscopy and forensic chemistry. 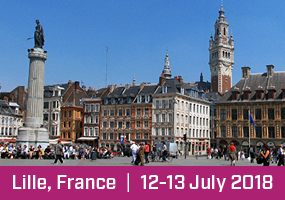 Currently he is completing his PhD studies at Lille 1 University, on the scope of the TASPPI European Training Network. He is working in the NMR and Molecular Interactions group, integrated in the UMR8576 department. He mainly uses biomolecular NMR spectroscopy to study 14-3-3 Protein-Protein Interactions and to obtain new compounds to modulate these targets. Ana Protić is an assistant professor at the Department of Drug Analysis, University of Belgrade-Faculty of Pharmacy. She obtained a PhD degree in the field of Pharmaceutical chemistry and Drug analysis in 2011. Currently participates in teaching process within undergraduated and postgraduated studies. She has been working on development of (U)HPLC methods with different detection techniques. Nowadays, her research is focused on the examination of quantitative relationship between structure and retention or property behavior (QSR(P)Rs) of group of compounds in different chromatographic systems. Moreover, the research is mainly directed towards investigating beta-cyclodextrin modified HPLC systems as they offer possibility of developing ecologically acceptable chromatographic methods. In light of this, chemometric approach by means of experimental design, methodology of multi-criteria optimization and determination of relevant molecular descriptors, has been used in clarifying the molecular mechanisms of retention in reverse phased and modified HPLC systems. This complex modelling of retention and property behavior of drugs and structurally related compounds requires the aid of machine learning techniques, such as artificial neural networks, computer technology that has the ability to "learn", since it is a simulation of neural activity in the brain. 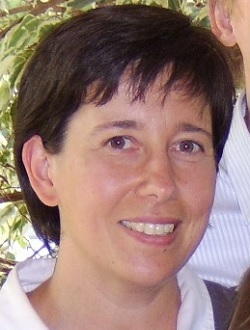 Dr. Anne-Catherine Servais obtained her Diploma of Pharmacist in 2000 from the University of Liege. In 2005, she obtained her PhD degree at the University of Liege with Professor J. Crommen on chiral separation in nonaqueous capillary electrophoresis. 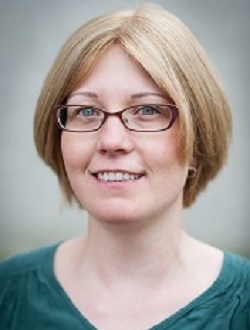 During her postdoctoral research at the University of Liege, she joined for 6 months in 2008 the group of Professor de Jong (Department of Biomedical Analysis, Utrecht University) to study the coupling of nonaqueous capillary electrophoresis to mass spectrometry. In 2011, she was appointed “First assistant” at the Laboratory for the Analysis of Medicines (University of Liege) directed by Professor Fillet. Since then, she performs research in the development of innovative separation methods using miniaturized techniques for the analysis of synthetic drugs but also therapeutic macromolecules including biological entities (virus). In 2016, she was promoted to “Chef de travaux” at the Laboratory for the Analysis of Medicines (University of Liege). 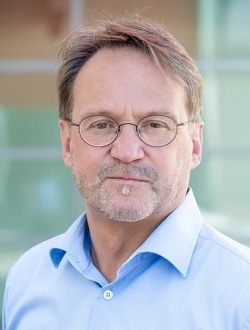 Dr. Servais is a recipient of the Biannual Award (2008-2009) of the Belgian Royal Academy of Medicine (Section of Pharmaceutical Sciences) and of the Prize of “Amis de l’ULg” 2011. 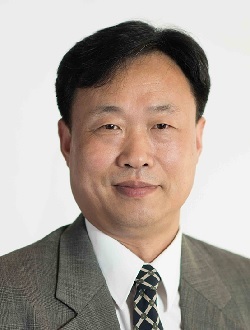 Sicen Wang is a full professor of Pharmaceutical Analysis, Research & Engineering Center for Natural Medicine, School of Pharmacy, Xi'an Jiaotong University, since January 2011. He studied pharmaceutical analysis and received his Ph. D. from Xi'an Jiaotong University in 2006 under the supervision of Prof. Langchong He. Then he joined the Research & Engineering Center for Natural Medicine, School of Pharmacy, Xi'an Jiaotong University a lecturer (2006–2007) and an associate professor (2008–2010). 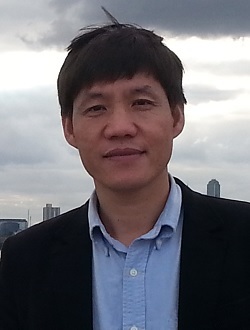 His research interests include the screening the active components from natural medicines and developing new drugs, and pharmaceutical quality control using various analytical techniques. He has published approximately 110 manuscripts, cited over 1300 times. He received the Outstanding Young Scientist Award (2013), the National Invention Award (2012). He is an editor of the Journal of Pharmaceutical Analysis from 2016 and Journal of Chinese Biology from 2013. 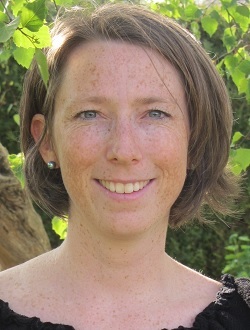 Caroline West obtained her PhD in physical chemistry (chromatography) from the University of South-Paris in 2005. She then joined the University of Orleans, France first as an assistant professor, then associate professor in analytical chemistry. She is a Junior member of the French University Institute, a service of the Ministry of Higher education distinguishing a small number of university professors for excellent research. Her main scientific interests lie in fundamentals of chromatographic selectivity, both in the achiral and chiral modes mainly in SFC, but also in HPLC. She has authored 3 book chapters and about 80 papers in international peer-reviewed journals, and has presented over 40 lectures in national and international conferences. In 2015, she received the “LC-GC Emerging Leader in Chromatography” award from LC-GC North America and was ranked among the “Top 40 under 40” by The Analytical Scientist. Guo-Jun Zhang got a PhD degree in Medicine from the Tongji Medical School of Huazhong University of Science and Technology, PR China, in 1999. He was a post-doctoral fellow at Wuhan University (1999-2000), PR China, a DAAD Postdoctoral Fellow at Institute for Physical High Technology Jena (2001-2002), Germany, a JSPS Postdoctoral Fellow at Waseda University (2002-2004), Japan. He became a Visiting Lecturer in 2004 and a Visiting Associate Professor in 2005 at Waseda University, Japan, respectively. From 2006 to 2011, he then worked as Member of Technical Staff at Institute of Microelectronics, Singapore. He is now a professor at the Hubei University of Chinese Medicine, working on fabrication of nano-biosensor and its applications to medicine.